Alley Kids Pin Series Taking Off! Alley Kids, a collectible enamel pin series by Josh Divine is the first of its kind in the crazy world of enamel pins. Alley kids are a limited edition series of 12 collectible characters designed by Kidrobot concept artist, cartoonist, and illustrator Josh Divine. 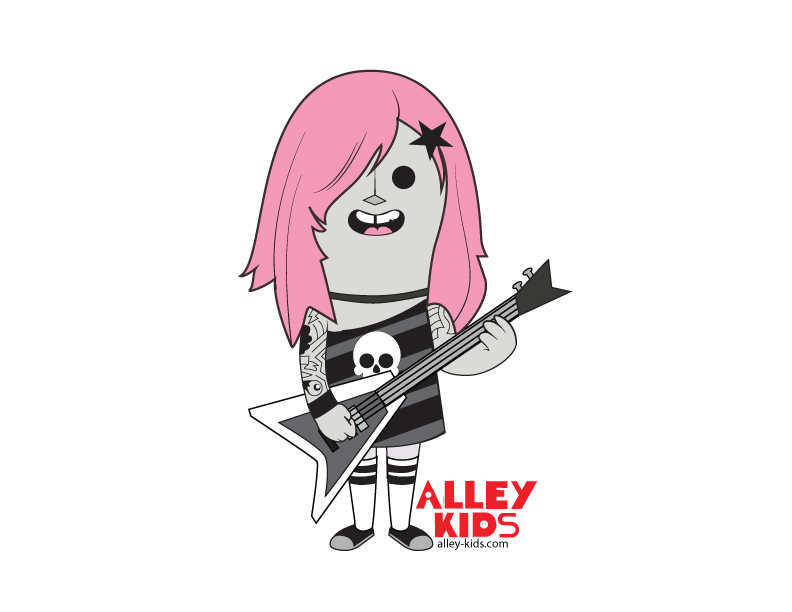 The second character in the series, a rock and roll girl with pink hair named Alexis, is available to order now online at http://www.alley-kids.com. Divine is also making the 'Kids' available at select retailers with plans for more outlets in the future. Alley Kids are currently available at StrangeCat Toys in Tampa, FL http://www.strangecattoys.com, Lowbrow Denver in Denver, CO http://lowbrowdenver.com, and at Time Warp comics in Boulder, CO http://www.time-warp.com. What's next for Alley Kids? - Jørg an adorable black metal lunatic is set to land sometime in September. Designer Josh Divine is looking to expand the line in the future to clothing, stickers, vinyl toys, a comic strip, and more!